When it comes to exterior home improvement projects, don't forget that your driveway can affect your home's curb appeal too. Here, you'll find some great ways to enhance your driveway -- including helpful tips for DIY driveway improvements and important things need to keep in mind before you upgrade your driveway. Considering automatic driveway gates? 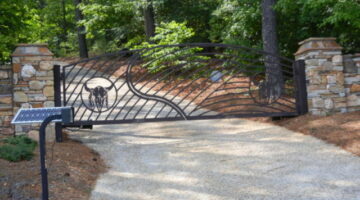 Here are the different types of driveway gates, materials that you can choose from, maintenance issues for each type of entry gate, and how to ultimately choose the best driveway gate for your residence.